1965 "Pandemonium" Barracuda by Reliable Resin. Kit Includes resin body, hood, grill, front valance, bumpers, tail lights, tubbed interior, chassis and a few miscellanous extras. The tubbed interior and chassis were created specifically for this body. 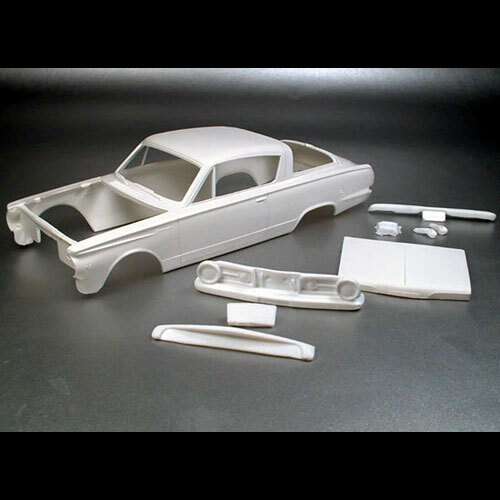 Recommended Donor Kit(s): AMT Hurst Hemi Under Glass #21433 (for glass and front suspension). AMT / Model King Mer-cury Comet #21466. 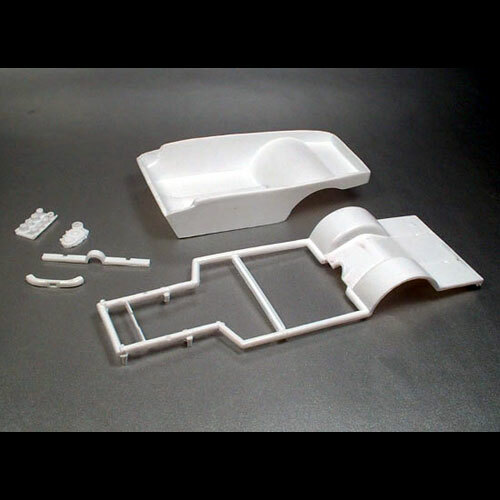 Any Model King AWB / Funny Car Kit.